Review the awarded projects in- depth to schedule deliverables and estimate cost. Oversee all onsite and offsite construction to monitor compliance with building and safety regulations. Coordinate and direct workers on job sites and sub-contractors if there is one. Select modern tools, materials and equipment’s to meet the schedule of the project and workers can be more productive on site. Prepare submittals, change orders and close out documents for the projects. Plan ahead of time to prevent problems and resolve any emerging ones. Exploring documentation provided in order to gain deep understanding of project requirements. Visit the job site for which the estimate needs to be carried prepared to get thorough idea of actual job condition. Sending out request for information forms with detailed description if there is any discrepancies between actual site condition and drawings provided or if the drawings are missing some information. Carry out detailed take-off for the job using advanced estimating software based on drawings and responses to request for information form. Forecast any risks that workers might encounter while working on the site and pricing the project accordingly with their solutions. Based on all the documents and factors that might affect the job, come up with final number for the project. Review the proposal with higher authority in the company before sending out. Building and maintaining long term relationship with key vendors. 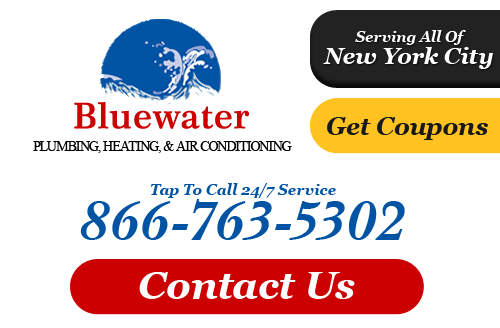 If you would like to know more about our Queens plumber, please call 866-763-5302 or complete our online request form.